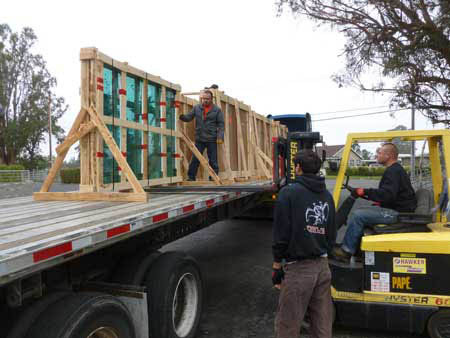 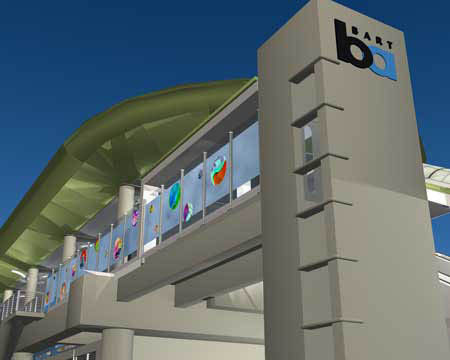 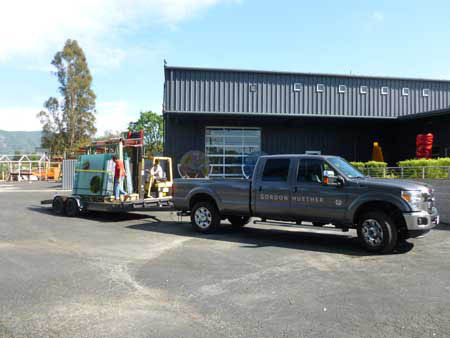 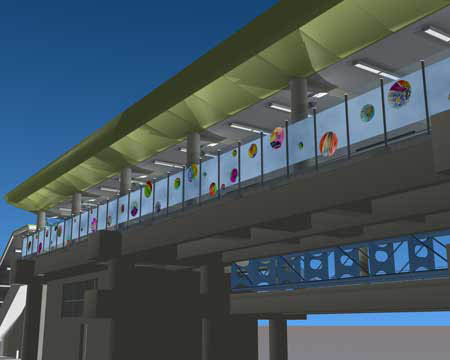 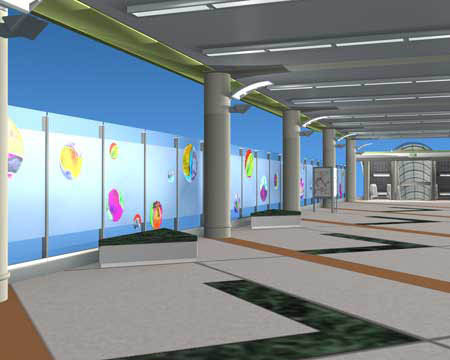 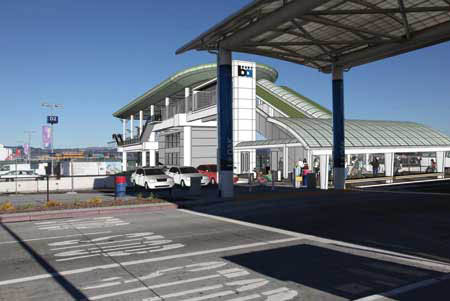 This installation is meant to be hip, active, engaging, fun, colorful, sophisticated, reflective and relevant to the diverse community that BART serves. 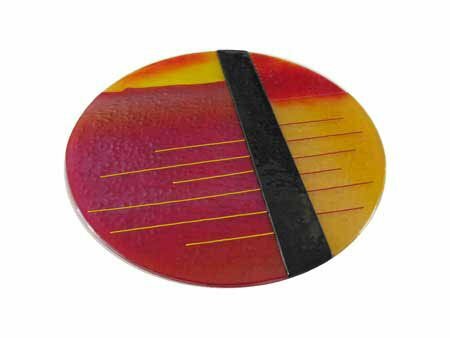 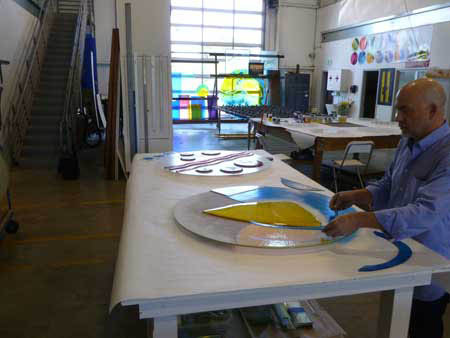 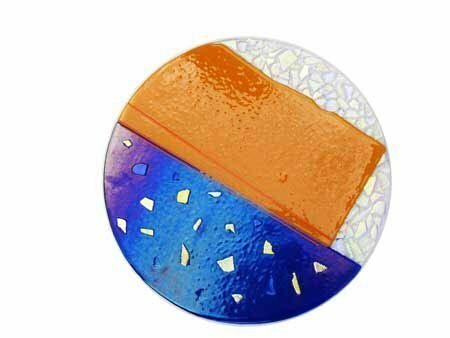 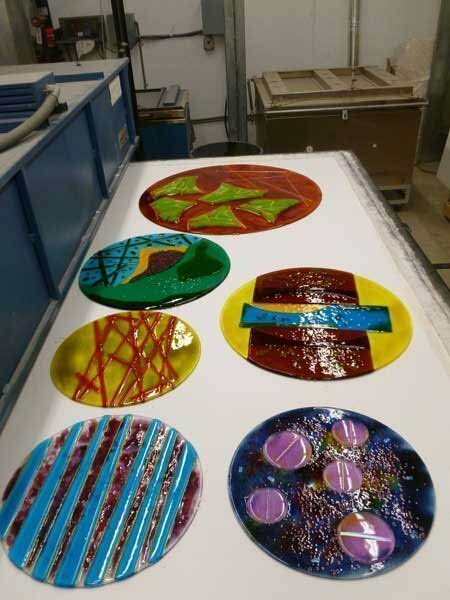 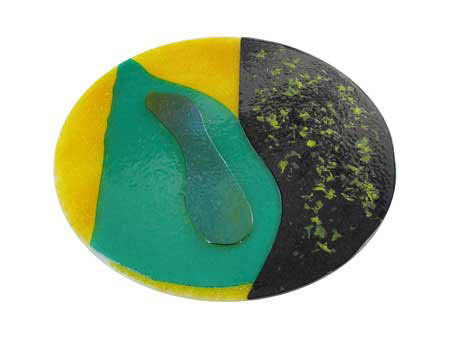 The fused glass discs are made of many vibrant colors that include dichroic glass. 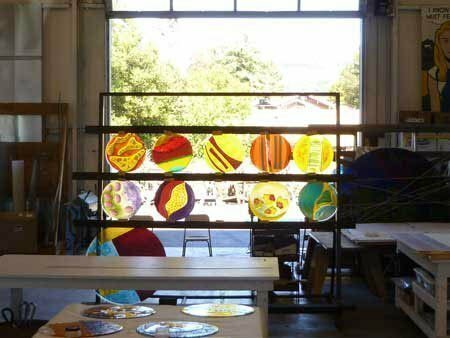 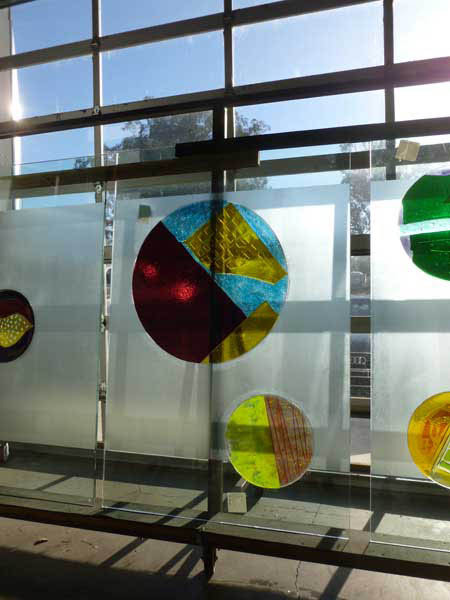 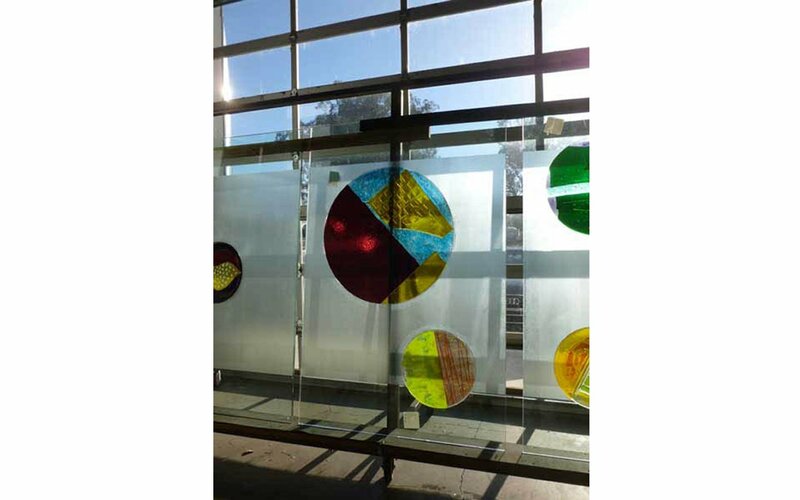 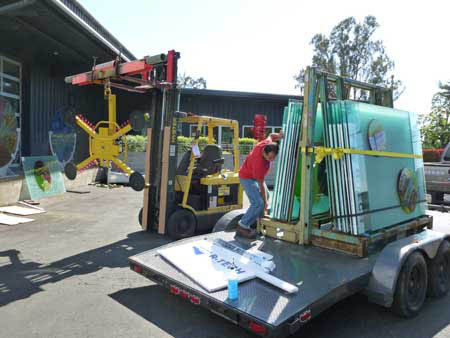 These art glass discs will loan themselves nicely to the transmission and refraction of color, light, pattern and shadow, all of which, adds to the complexity of the installation and metaphorically speaks to the multidimensional qualities of the community.